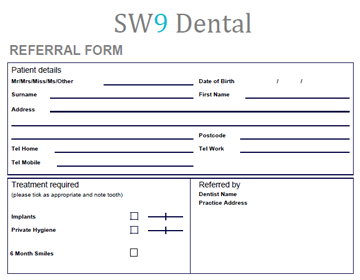 SW9 Dental accepts referrals from other dentists and dental practices. To make a referral please download and complete the relevant PDF referral form. Please be assured we will neither approach nor accept your patient for non-referred treatment.